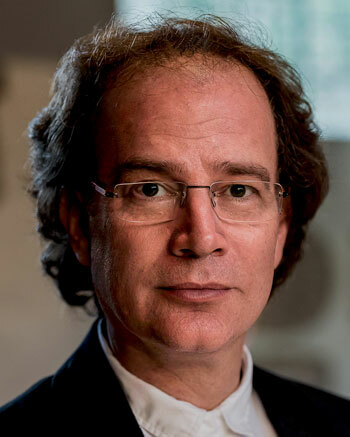 David Skinner is Fellow, Praelector, and Osborn Director of Music at Sidney Sussex College in the University of Cambridge where he teaches historical and practical topics from the medieval and renaissance periods, as well as directing the chapel choir. He is also artistic director of the professional consort Alamire (www.alamire.co.uk), who received the 2015 Gramophone Award in Early Music for their recording of The Spy’s Choirbook (London, British Library, Royal 8.g.vii). Anne Boleyn’s Songbook (London, Royal College of Music, MS 1070) similarly met with great critical acclaim, having received Australia’s Limelight Award and a nomination for a BBC Music Magazine Award. His latest CD, Thomas Tallis ‘Songs of Reformation’, been featured on BBC Breakfast Television and various media owing to the discovery of Queen Katherine Parr’s links with Tallis. It was named CD of the Month in BBC Music Magazine (January, 2018). An engaging presenter, David has worked extensively for BBC radio, appearing in and writing a variety of shows on Radio 3 and 4. He acted as music advisor for the Music and Monarchy series on BBC 2 with historian David Starkey; he and Alamire appear in the first two episodes of the series. David was also Musical Consultant for Lucy Worsley’s BBC documentary on the origins of Evensong. He has published widely on music and musicians of early Tudor England and has an excellent reputation as an editor of performance scores. David's edition of the complete Tallis Psalter was published by Novello in 2012 and was well reviewed, receiving 5 stars in Early Music Today. The follow up to this collaboration, "The Gibbons Hymnal" was published in March 2014. Recent publications include a major article on Tallis in the May 2016 issue of Early Music (OUP) and Anne Boleyn’s Music Book (DIAMM Facsimiles, 2017). He is currently preparing a new collected edition of Tallis’s early Latin works for Early English Church Music (Stainer & Bell, forthcoming in 2018).